Anthony Montejo Get's His Career Rolling with Donny Baker and Jam In The Van! When you’re first starting out in any creative business, you’re looking for any way in. You’re looking for any means to get your foot in the door. You’re looking for what it takes to showcase your skills, make connections, and learn the ropes. 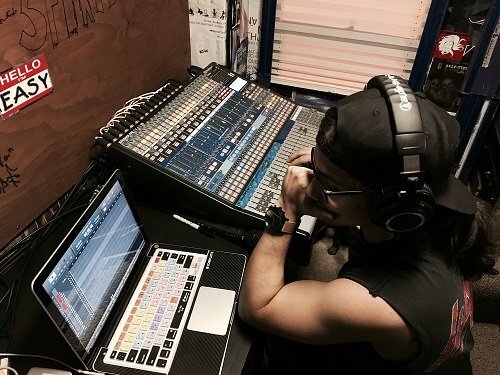 Prior to applying, Anthony Montejo knew he wanted to get a career going in music and was even in the final stages of applying to a much more expensive, well-known program. Then he came across Recording Connection. Understandably, he thought, as many other RRFC applicants have thought in the past, the program was just too good to believe. I was a little skeptical about it. The tuition was so much more affordable than any other school I could choose. So I signed up to get some information. And a couple of days later, I got a call asking me if I wanted to go for an interview, see the studio I was going to be apprenticing at with Donny. Anthony went into ES Audio (Los Angeles) to meet Donny Baker and see if the program would be a good fit for him. He and Donny hit it off almost immediately. And for those who don’t know, Jam In The Van TV is a webshow that features prominent musicians performing live, intimate sets. The solar powered JITV van travels the country going to shows, events, and gatherings. Both well-known and soon-to-be known musicians perform their sets on the van and the gigs are broadcasted right on the JITV YouTube channel which now boasts more than 100,000 followers! The gig is a perfect fit for Anthony, who, thanks to his time with Donny Baker, is well-versed in live work and analog gear. Added to that, is Anthony’s laid-back temperament and fierce work ethic. He’s a fun guy who isn’t afraid of hard work and that makes him a favorite amongst the Jam In The Van crew. 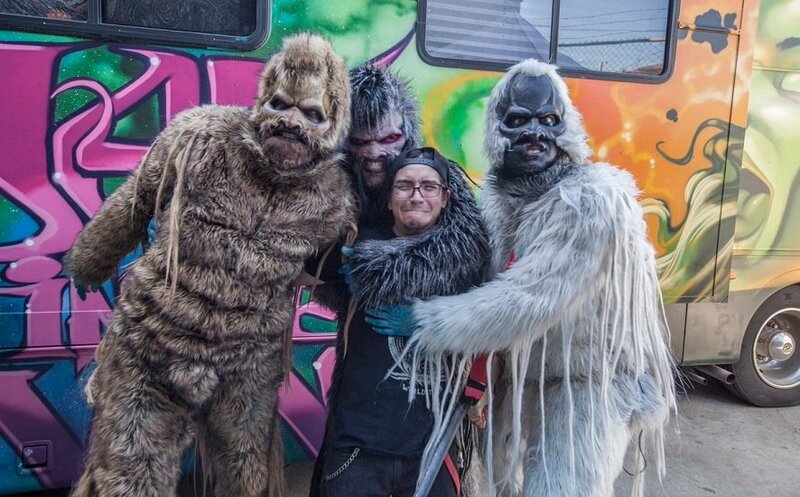 Thanks to the connections Anthony has made on JITV, he’s still working with head Jam In The Van audio engineer Ethan Glaze on numerous projects with more in the works. He made the choice to forgo going deep in debt with a more expensive, classroom-based program and got going in a real recording studio and within months, he’s got himself off to a solid start!